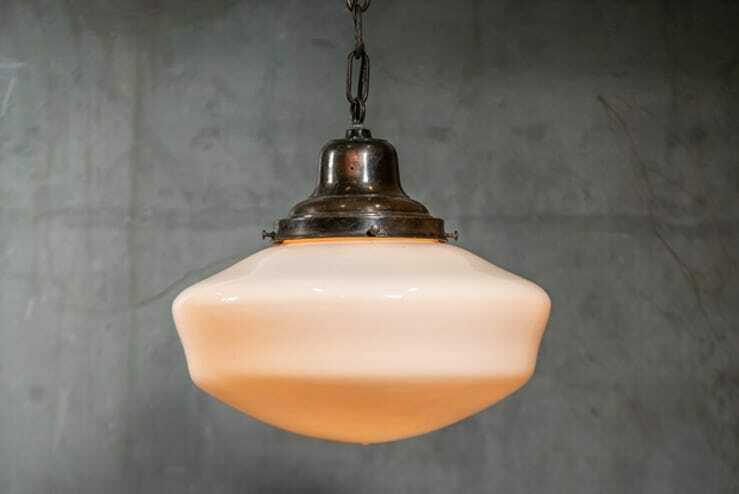 This classic schoolhouse shade casts a soft glow on the room below. With its crisp, clean lines, it’s no wonder these durable fixtures were a classroom staple. Suspended from a 15″ chain.